The Ralph Lauren company has announced the development of a line of wearable technology that will be unveiled to the public during the U.S. Open. The goal of the new product line was to make products that did not compromise appearance and comfort while adding technological capabilities that could enhance the life of the wearer. 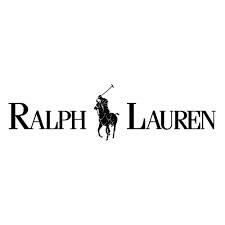 The timing of the release makes sense, as Ralph Lauren company has been a sponsor of the United States Olympic team, the Open and Wimbledon for years. One of the new products being showcased is a nylon t-shirt that records the wearer’s heart rate and stress level throughout periods of strenuous activity. The ball boys at the Open will be outfitted with the black, form-fitting t-shirts during the tournament. The Ralph Lauren polo pony is highly visible in bright yellow on the front of the shirts. David Lauren, the executive vice president for advertising, marketing and corporate communications and a son of the designer, is optimistic that the new shirts will be able to catch the eyes of fans around the globe. Ralph Lauren appears to have found a way to fuse fashion with technology in an attractive way. The aesthetic appearance of the shirt has been streamlined to look classy and sophisticated. There is nothing clunky or distracting visible on the shirt to indicate that it is wearable technology. Woven into the fiber of the shirts, a thread covered in silver conducts information about the wearer’s vital signs to be displayed on a dashboard, smartphone app or computer screen. The new t-shirt will be the first wearable technology product released by a mainstream fashion label. For the near future, the company will be focusing much of its attention on integrating technology into everyday wear. In addition to the t-shirts, there are also plans for a classic dress shirt that is tech-enhanced and a new line of contemporary streetwear.